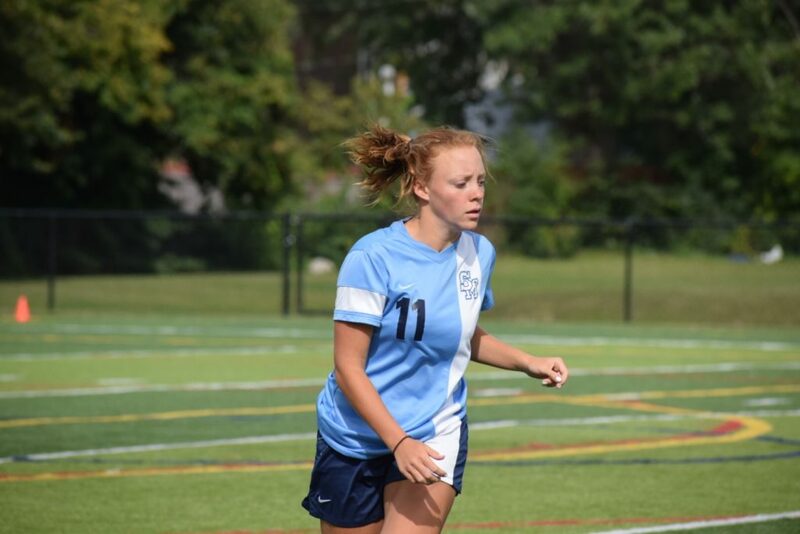 Sophomore Skye Baun was named Division MVP and made the First Team All-Catholic. 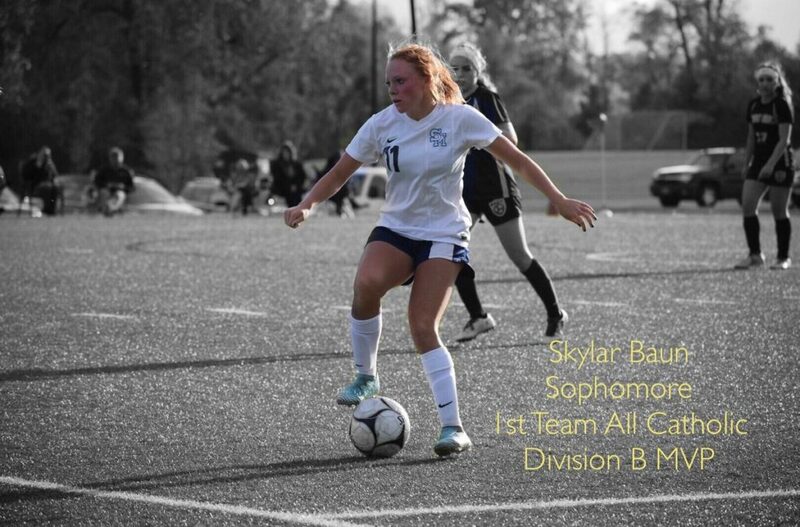 Skye had 25 goals, 9 assists this season. 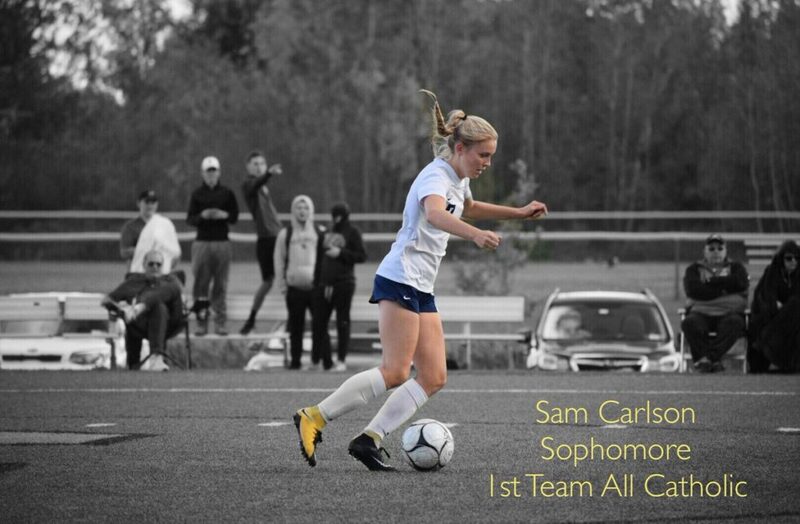 Sophomore Sam Carlon was also named First Team All-Catholic, after leading the whole Monsignor Martin in goals with 25 and also tallied 9 assists. Freshman Jill Bernas had a fantastic rookie season, finishing tied for third on the team with 17 points. 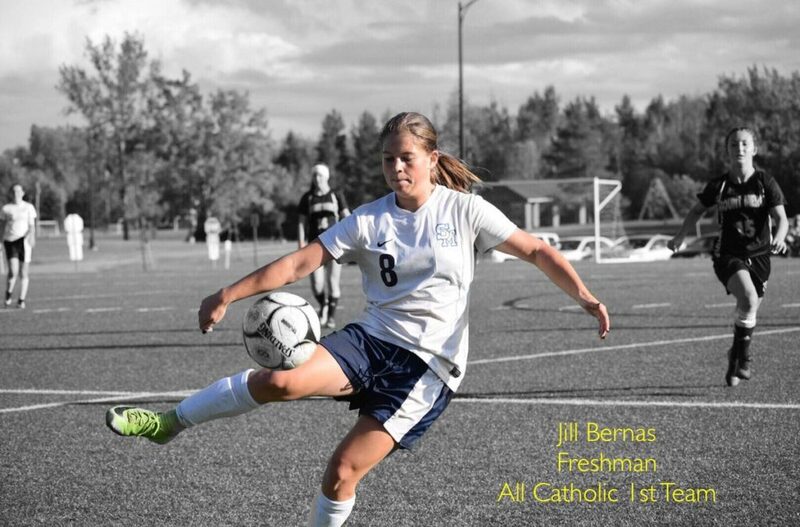 Jill earned a spot on the First Team All-Catholic as well. 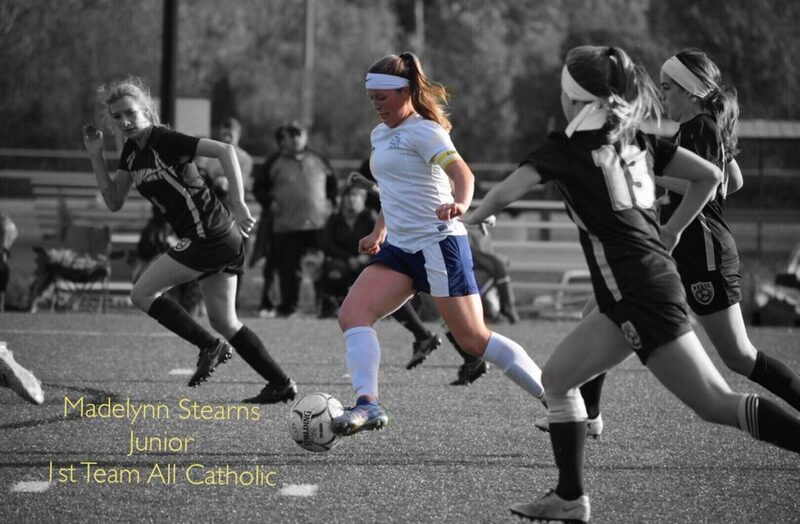 Junior Madelynn Stearns made her third straight All-Catholic Team! She was a force in the midfield, tying the team for 3rd in points, with 17 on the season! 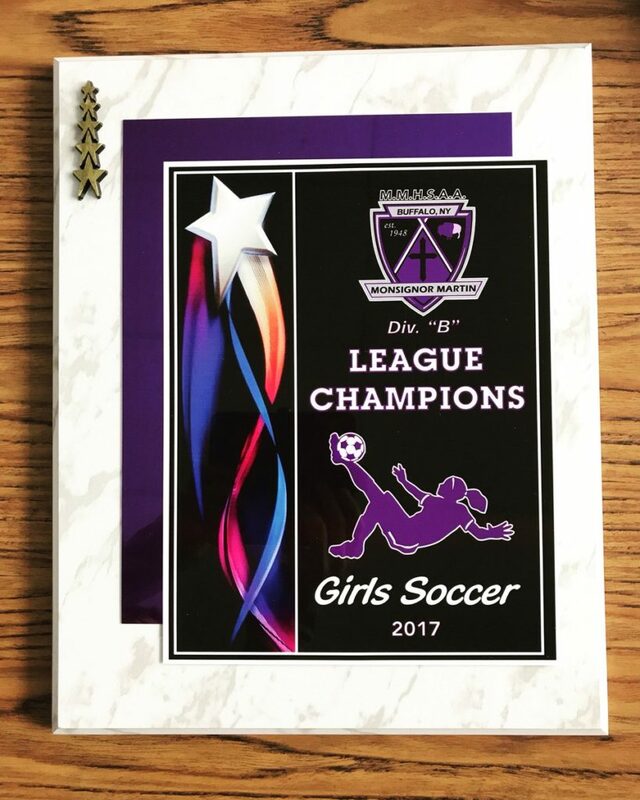 After a remarkable regular season, the Lancers finished on top of the league after regular season play. 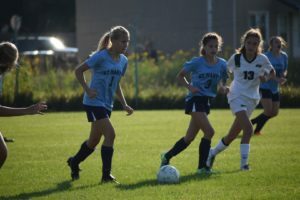 In quite the bit of Lancer history, St. Mary's had such a turnout at women's soccer tryouts, that a JV team was fielded. That team took the field for the first time on September 14, 2017. 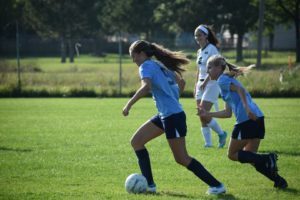 The Lancers started Monsignor Martin League play with a 3-1 win over the Magic of Mount Mercy. 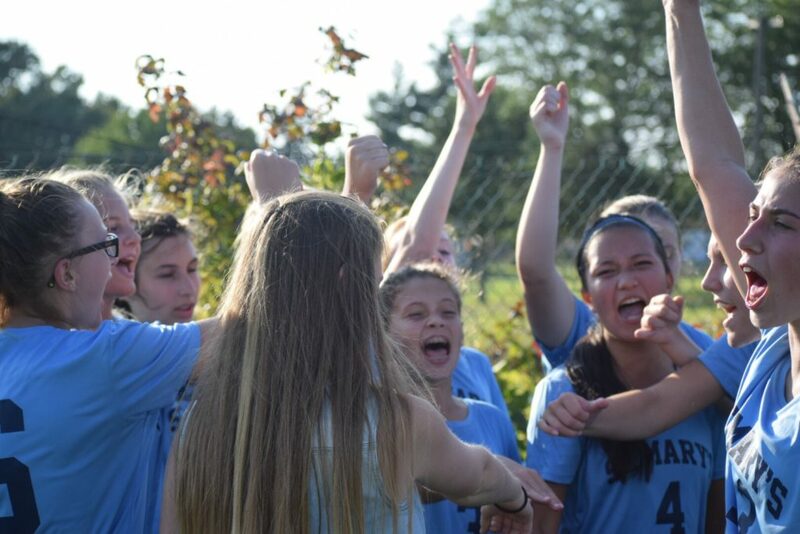 Sophomore Sky Baun had a goal and an assist and Sophomore Sam Carlson and Junior Madelynn Stearns had a goal each.